Milwaukee County Dept. 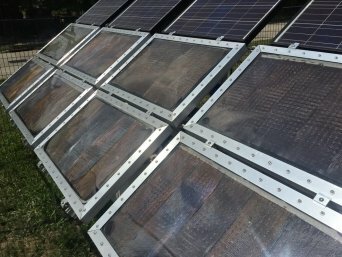 of Parks, Recreation, and Culture ($89,795)Milwaukee County Parks will use this $89,795 award to partner with Solar Water Works and Dr. Sandra McClellan at the UW-Milwaukee School of Freshwater Sciences. Together, they will install and monitor an emerging, solar-powered technology at Bradford and South Shore beach to disinfect stormwater before it enters Lake Michigan.This project works to combat contamination from bacteria in stormwater at these two beaches, and is also the first time that this technology will be used to improve water quality at swimming beaches. As such, it could prove to be a cost-effective treatment for beaches throughout the region.